HOUSTON- In its first report since voters approved Proposition B on Tuesday, November 6, 2018, Fitch announced Thursday it had changed the City of Houston’s outlook from stable to negative, while maintaining the city’s ‘AA’ bond rating. 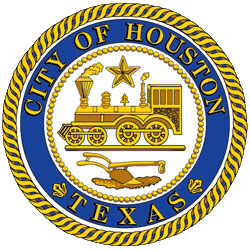 As the only Texas city operating under a revenue cap, Houston cannot raise taxes to pay for the additional firefighter salaries, which the city controller has described as unsustainable. The only option is to cut spending by reducing services and laying off people including firefighters, police, and municipal employees, which includes solid waste, parks and library workers, among others. Fitch warned that the city’s inability to absorb increasing expenditures to match ongoing revenues will likely result in negative rating action and notes further cost cutting will be necessary. The city is attempting to explore its options and obtain deliberate counsel to determine whether state law preempts the charter amendment completely. Absent any court action, the referendum stands and ultimately must be fully implemented.